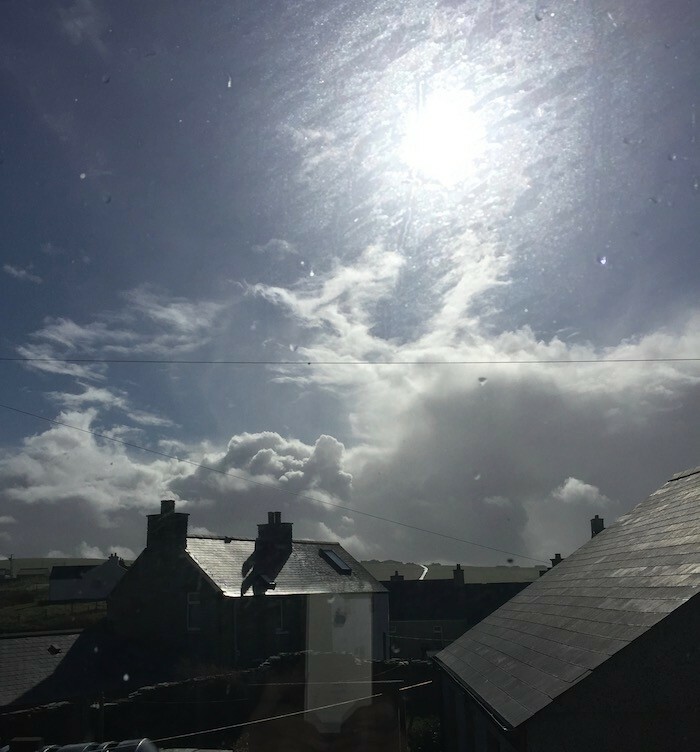 Storm Ali has taken its time in descending on Orkney. Here in Palace, Birsay, the storm did not arrive until late yesterday afternoon after tearing its way across the trees and transport networks of mainland Scotland. 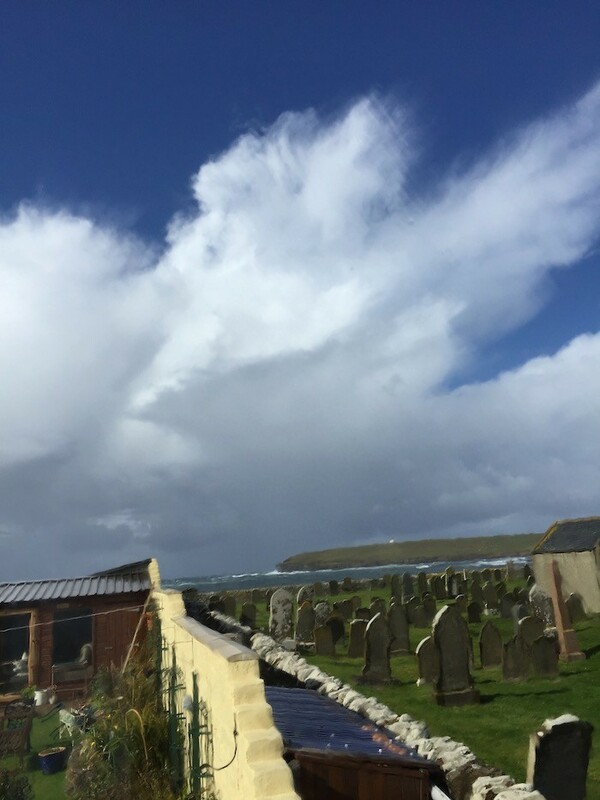 Since then the rain and wind have been pelting our garden and windows ....YET....interspersed with beautiful blue skies and sunshine....enough to tempt us and our self-catering guests out to view the Brough and Birsay Bay. Storm sunshine over Annie's Place garden. St Magnus Kirk and Birsay Bay. Storm Clouds chasing off the sun over Brough of Birsay. Storm clouds being driven away by the sun over Palace Village, Birsay.